To carry out an action. The court will withhold a decision until a future date. Usually some sort of probation is added and if the defendant complies with the conditions for a specified period of time, the case may be dismissed. If the case is not dismissed, then the disposition remains adjudication withheld and the case is closed. However, if the defendant is found in violation, the case disposition may be changed and the defendant can be found guilty. An individual who is 18 years of age and over (see Minor and Child). The cost of credit over a full year. The law requires lenders to express financing terms of the APR. The coming into court of either party to a suit or action. The process of resolving a dispute or a grievance outside of the court system by presenting it to an impartial third party or panel for a decision that may or may not be binding. A criminal defendant's first appearance before a judge. The primary purpose is to inform the defendant of what charge he is facing. To set upon with violent force, an assault. To attack with the intention of subduing. A method of computing the figure on which the finance charge for credit card financing will be based. The account balances for each day in the billing period are totaled and divided by the number of days in the period. require the full amount of the bond to be paid in cash before the defendant can be released. If the defendant appears at all future court dates, most of the monies are returned to the person posting the bond. require the defendant to post a percentage of the full bond (generally as low as 10%) to get out of jail, and the remaining percentage is due only if the defendant later fails to appear. PR bonds or signature bonds) do not require the defendant or a third party to pay money to the court, unless the defendant later fails to appear. are posted by a professional bondsman after being paid a non-refundable percentage of the full amount by the defendant. Using some force to enter a building (opening a door, raising a window, taking screen off, etc. ); damage need not result. The duty to establish by evidence a requisite degree of belief concerning a fact in the mind of a trier of fact. The duty to establish facts in an adversary proceeding. Different burdens of proof exist in the law. The burden of proof in civil cases. Evidence which, as a whole, shows that the fact sought to be proved is more probable than not. Evidence which is more credible and convincing to the mind. It is generally visualized as that side of the dispute toward which the scales tip when the credible evidence is weighed by the trier of fact. Something more than 50 percent of the credible evidence. Clear and convincing evidence: the burden of proof in selected proceedings, such as termination of parental rights. A measure of proof which produces a firm belief as to the allegations. It is difficult to quantify, but is more than a "preponderance" and less than "beyond a reasonable doubt." Beyond a reasonable doubt: the degree of belief a criminal juror (or the judge in a bench trial) must have regarding all factual elements of a charged crime. No doubt, based on reason and common sense, can exist as to any fact needed to be proved. Evidence which is good and sufficient "on its face" to establish a given fact when un-rebutted or not contradicted. Probable cause. The Latin meaning is "That You Take". This is the name for several types of writs which require that a law enforcement official take a named defendant into custody. An accusation of wrong doing. To make a claim of wrongdoing against; accuse or blame. Individual who is younger than 18 years of age. Court officer in charge of the clerical work; keeps the records, issues process, enters judgments and orders, and gives certified copies of documents from the record. A body of legal principles which derives its authority solely from usages and customs of ancient times, or from the judgments and decrees of courts recognizing, affirming, and enforcing such usages and customs; particularly the ancient unwritten law of England. Common law is to be distinguished from "statutory law," which is enacted by a legislative body such as Congress or a state legislature. Workplaces, businesses, places of worship, social groups, consultants, health care facilities or professionals, places for recreation or entertainment, and other facilities, professionals, or supports generally available to the population-at-large within a community. A court imposed sanction that requires offenders to work in the community to repay society for the harm done by their actions. Classification with unrestricted day and night movement and full access to jobs and programs. Means a person is capable of making informed decisions in specific areas regarding the conduct of one's personal and/or financial affairs. Family - Parent, foster parents, spouses, siblings, and others who perform the roles and functions of family members in the life of an individual, including persons in a relationship of mutual support with an individual that is exclusive and expected to endure over time. Upon conviction for multiple crimes, a criminal sentence served at the same time as another criminal sentence, rather than one after the other. A stipulation in an agreement that provides for a change consequent on the occurrence or nonoccurrence of a stated event. A court judgment in which both parties agree to work out the terms of the settlement subject to court approval. A factor to be considered in forming a judgment or decision. Thought about or decided upon with care. A service agent that provides or coordinates the provision of a variety of drug and alcohol testing services to employers. 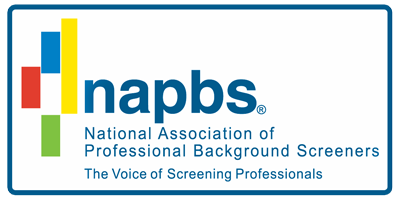 C/TPAs typically perform administrative tasks concerning the operation of the employers' drug and alcohol testing programs. This term includes, but is not limited to, groups of employers who join together to administer, as a single entity, the DOT drug and alcohol testing programs of its members. The cessation, interruption, or adjournment of a proceeding until a future date. The formal decision of a criminal matter which finds the accused guilty. It is the finding of a judge or jury, on behalf of the state, that a person has, beyond a reasonable doubt, committed the crime that they were accused of. An "intermediate" appellate court between the Supreme Court and state trial courts. Final decisions from a Circuit or Probate Court hearing may be appealed to the Court of Appeals. An individual who makes a stenographic record of the testimony, evidence and rulings and transcribes the hearing process. A reporting agency that assembles information on borrowers to help lenders evaluate credit worthiness. You are entitled to see your credit report and dispute or add to the information you feel is erroneous. Your objection(s) must be filed in writing with the report. A charge filed by a prosecutor against a defendant concerning violation of a criminal law. The act of violating a criminal law is an offense against the community, not a private wrong. Examples of criminal cases include theft and murder. In criminal law, a charge, preferred before a magistrate having jurisdiction, that a person named, has committed a specific offense, with an offer to prove the fact, to the end that a prosecution may be instituted. The defendant’s response to a criminal charge (guilty, not guilty,or nolo contendere). Able or likely to cause physical injury. A judgment, as one formally pronounced by a court. The judge doesn't make a finding of guilt; he assigns probation. If probation is completed without incident, the charges are usually dropped. Term meaning an adjudication on the merits, and final disposition, barring the right to bring or maintain an action on the same claim or cause. Term meaning dismissal without prejudice to the right of the complainant to sue again on the same cause of action. The final outcome or resolution of a court case or criminal matter. Examples of disposed cases are those with a finding of guilt (conviction), innocence, or acquittal. To pay no attention to. A listing of all court actions in a case from its inception to its conclusion. Being tried twice for the same offense. Jeopardy "attaches" or begins in a jury trial when the selected jury is sworn, and attaches in a bench trial when the first witness is sworn. Same as Driving While Intoxicated. When a citizen of one country takes on the additional citizenship and it’s privileges from another. What determines this is according to the original country's requirements. Some countries require you to relinquish their status if you take on citizenship in another country, others don’t. The taking of another's money or property by one entrusted with its possession, usually through employment. To slip or get away, as from confinement or restraint. Any species of proof, or probative matter, legally presented at the trial of an issue, by the act of the parties and through the medium of witnesses,records, documents, exhibits, concrete objects, for the purpose of inducing belief in the minds of the court or jury as to their contention. An interrogation or search. The examination of a witness consists of a series of questions asked by a party through the action or his attorney, in order to bring before the court or jury the knowledge which the witness has of the facts or matters in dispute, or probing and sifting the evidence as previously given. To seal or purge records of arrest, criminal, or juvenile record information. When a record of an offense is expunged it will not appear on a released criminal history. The record may be destroyed or sealed after a certain period of time. Records may be expunged in juvenile cases, or upon satisfactory completion of a court-ordered probation and/or class(es). The surrender by one jurisdiction to another of a person accused or convicted of an offense committed within the jurisdiction demanding the individual's return. The most serious of criminal-type offenses. Felonies are classified as 1st, 2nd, or 3rd degree with 1st degree being the most serious. The commencement of criminal proceedings by entering a charging document into the official record of a court. A court imposed sanction that requires offenders to pay a monetary penalty for their actions. A weapon, a pistol or rifle, capable of firing a projectile and using an explosive charge as a propellant. Firearm, document, polygraph, DNA, medical, accounting, computer, handwriting experts and other known expert witnesses available to testify to their findings for Court purposes. The commission of an act with the goal to benefit or gain advantage at another's expense. A purposeful misrepresentation with the intent to deceive. Found in Virginia. The case has not been to trial at this time. A warrant, summons or paper from the district attorney’s office was issued for delivery to the defendant to appear for trial; however, the defendant could not be located. Therefore, the case is technically pending; however, the paperwork was never served. The federal act which establishes procedures for accessing, classifying and sharing public, private and confidential and protected records effective July, 1992. Higher or lower in grade or degree, according to the measure of punishment attached and meted out on conviction and the consequences resulting to the party convicted, for example first, second, or third degree murder. Includes, among other things, authority to consent to marriage, major medical, surgical, and psychiatric treatment and enlistment into the armed forces. "Guardianship of a person" includes legal custody, if legal custody is not vested in another person, agency, or institution. The process by which an individual acquires and maintains the life skills necessary to cope more effectively with personal and environmental demands or to improve physical, mental, and social competencies. Lysergic acid diethylamide "LSD, acid" and phencyclidine "PCP, angel dust"
The investigation of all forms of aggravation, e.g. sexual, embarrassing, discrediting or troubling practices that worry or frighten individuals in the workplace or in their personal lives. The killing of another human being. "Justifiable homicide" occurs in cases such as during the enforcement of law, and/or occurs without evil intent. "Excusable homicide" may occur by accident or in self-defense. "Felonious homicide" is the killing of another without justification. This type has two degrees - manslaughter and murder, depending on circumstances or intent. See Manslaughter; Murder. An operating language established by voluntary members of the human resources community who agree to use common definitions to facilitate automated exchange of all HR-related data between organizations. HireRight is a founding member of the HR-XML Consortium. Not permitted or allowed; prohibited; unlawful; as in illicit trade. A sequential arrangement of material, especially in alphabetical or numerical order; index. To bring a formal accusation against, as a means of bringing to trial. A formal written accusation originating with a prosecutor and issued by a grand jury against a party charged with a crime. An indictment is referred to as a “true bill”, whereas failure to indict is called a “no bill”. An accusation exhibited against a person for some criminal offense, without an indictment. A written accusation made by a public prosecutor, without the intervention of a grand jury. A judgment conviction shall set forth the plea, the verdict or findings, and the adjudication and sentence. The maintenance or administration of what is just by law, as by judicial or other proceedings. The branch of the judiciary that has legal responsibility for youth under the age of 18. The court is a civil court that adjudicates cases where youth are thought to be abused, neglected, or dependent and cases where youth are accused of some delinquent or status offense. At common law, the forcible abduction or stealing and carrying away of a person from one country to another. A person is guilty of kidnapping if he unlawfully removes another from his place of business or residence. To put to death, To deprive of life. The unlawful taking of another person's property. Larceny is commonly classified as "petty" or "grand" depending on the value of the property. Dollar values to establish classifications of "petty" and "grand" may vary from state to state. Allowed or permitted by law; not contrary to law. Being without law; uncontrolled by a law; unbridled; unruly; unrestrained. An agency licensed by the State to receive children for placement. Criminal-type offenses that are less serious than felonies and generally those punishable by fine, penalty, forfeiture or imprisonment otherwise than in a penitentiary. Under federal law, and most state laws, any offense other than a felony is classified as a misdemeanor. To lead or guide wrongly; lead astray, to deceive. To treat badly or abusively; maltreat. A specimen that lab has determined to be negative, no illegal substance is found, it is human urine, but the levels fall below normal levels. Drinking lots of fluids prior to voiding can cause this situation. An authoritative indication to be obeyed; a command or direction. A rule established by authority; a permanent rule of action; a law or statute. Annual Percentage Rate (APR) divided by the days, weeks or months in a year. Usually referring to a type of entrance visa status by the INS. A person who brings an action. A person who seeks remedial relief for an injury of rights; it designates a complainant. Asking the court to give leniency, it falls under deferred prosecution, meaning the state did not prosecute. No finding of guilt by the court. Example, with worthless checks it gives the defendant a chance to pay the check before being charged. A proceeding during which the court considers relevant information, such as extenuating circumstances, held for the purpose of determining a sentence for a person convicted of an offense. To proceed against a person criminally. What for what, something for something. Used in law for the giving of one valuable thing for another. May be forcible or by intoxication, with a person who is underage and unable to give consent, or with a person with diminished mental and/or physical capabilities. Having to do with where people live. 1. A requirement by the court as a condition of a revocable sentence, or earlier in the criminal justice process, that the offender replaces the loss imposed by his or her offenses. 2. Money received from a probationer for payment of damages. (as Disposition) The case can be brought up within the next year if the individual is arrested for anything. It is the judge's decision and only he can take action. If the individual remains "clean," then the case can be dismissed. To take back or withdraw; annul, cancel, or reverse; rescind or repeal. The state office where your documents will be either apostilled or certified, depending on the country program. A court decision postponing the execution of a sentence and discharging the defendant conditional upon good behavior. A parent who is not currently married. This can include never married and divorced individuals. The act or practice of exceeding the speed limit. A finding of guilt by a magistrate or judge, without a jury, of a person accused of a misdemeanor or violation. The decision of a court concerning merits of a lawsuit, where upon review of the facts, it is determined that the party who made the motion for summary judgment is entitled to judgment. In criminal law, a written order notifying an individual that he or she has been charged with an offense directing the person to appear in court to answer the charge. This can mean different things in different countries, but usually a child between 18-60 months (1 1/2 to 4 years). A group of offenses usually consisting of those infractions and very minor misdemeanors relating to the operation of self-propelled surface motor vehicles. Violators of these laws may incur fines, loss of license, or imprisonment. When a document is converted from one language to another. An event in which parties come together to present information (in the form of evidence) in a formal setting, usually a court, before a judge and jury, in order to achieve a resolution. A sentence where the court is authorized to release the defendant without fine, imprisonment, or probation supervision if the court is of the opinion that no proper purpose would be served by imposing any condition on the defendant's release. Not lawful; contrary to law; illegal. (Arrest Warrant) A written order of the court which is made on behalf of the state, or United States, and is based upon a complaint issued pursuant to statute and/or court rule and which commands a law enforcement officer to arrest a person and bring him before a magistrate. Describes a lawsuit where the sending/suing party has withdrawn its complaint or otherwise made clear that it will not continue to seek action. This includes non-lawsuit situations in which the sending party has ceased to threaten the receiving party and has not pursued legal action. Often in Pennsylvania situations occur where they have what’s called a pre-trial intervention. This would be similar to a deferred judgement in exchange for community service or something along those lines. Overall this is essentially the same as a dismissed case. Short for Extensible Markup Language. XML is a language designed especially for Web documents. It enables the definition, transmission, validation, and interpretation of data between applications and between organizations. Status classification of youths and young adults generally older than juveniles (age 18 to 25), who are given special consideration. An untechnical term denoting a witness on the trial of a cause who manifests a partiality for the side calling him, and an eager readiness to tell anything which he thinks may be of advantage to that side.